If you are a DJ you are well aware of how important the lighting system is, it can truly define the experience of your show. Luckily for Etienne De Crecy, he has 1024 creative firm on his side to help him deal with the problem. 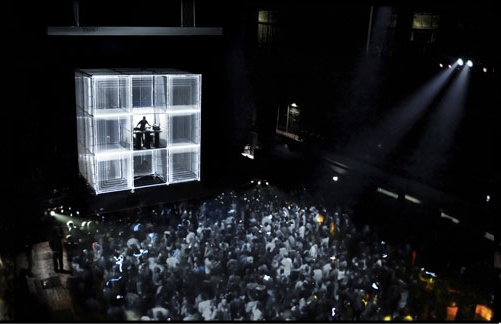 In this amazing light show, video is projected on a scaffolding structure and the content is projected via custom QC software, controlled by the musician MPC in real-time. Check out the video after the break, pretty cool.